Christmas is for children, young and old. Sometimes, they love to dine at their favorite McDonald's store with their family and friends. Good news for everyone! 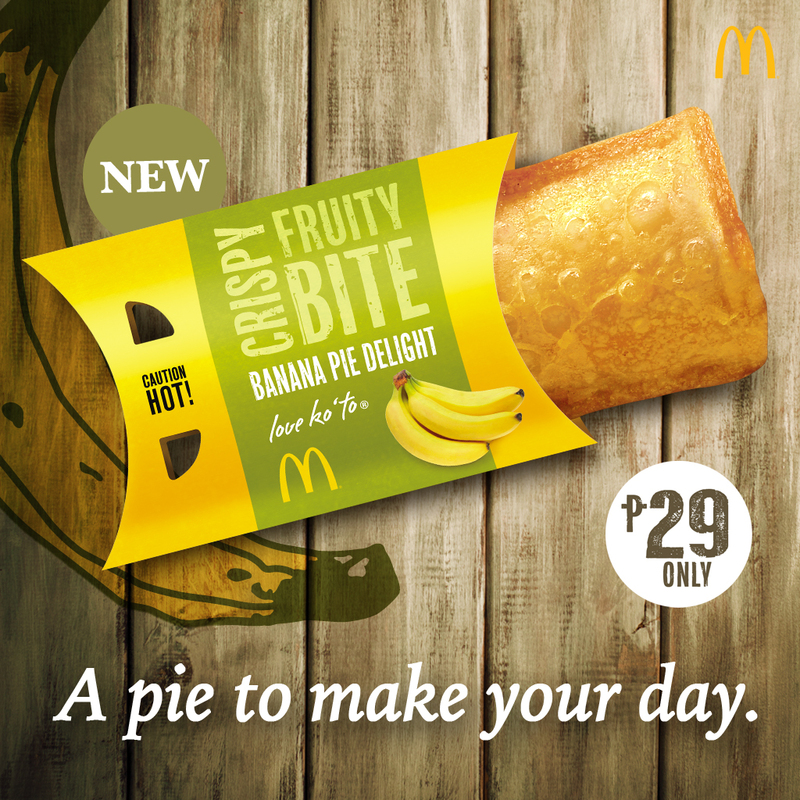 McDonald’s offers the new McShare Box which contains the juicier Chicken, BFF Fries and the best Banana Pie. Choose between the McShare Box with 6-pc and 8-pc Chicken McDo to complement your tasty meals whether at the dining table or in your favorite McDonald’s restaurant. 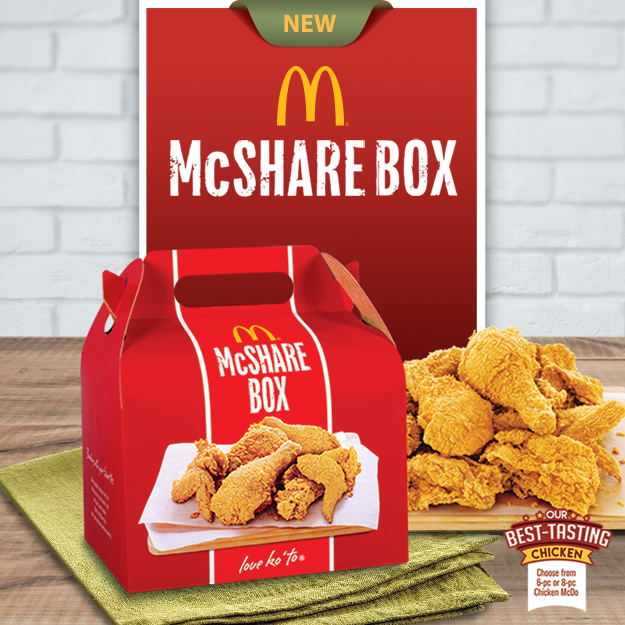 Ideal for groups of three or four persons, the McShare Box is also available in McShare Bundles wherein you can try Chicken McDo with rice, drinks, and the BFF Fries. You can also cap off each meal time with the new Banana Pie, McDonald’s treat that is made with a scrumptious mix of golden, flaky crust over sweet, creamy banana filling—truly a pie to make your day! As you celebrate the season of sharing with the ones you love, have a McShare Box with the best-tasting Chicken McDo, and the new Banana Pie anytime, especially during dinner, at McDonald's stores nationwide. You can also grab them via Drive-Thru or McDelivery (86-2-36, www.mcdelivery.com.ph, or the McDo PH app). Share your families’ favorite groufie enjoying the new McShare Box and and trying the new Banana Pie on Facebook, facebook.com/McDo.ph or tag @McDo_PH on Twitter or Instagram.